Last Friday I looked at the 2014 redshirts. Let's take a look at this year's first time players and and freshman redshirts and what they accomplished. Redshirts who DNP not included. Forgive me if I missed anyone. Blake Frohnapfel GS Transfer 3345 Yards 23 TD's-- Bulger Lowe Award, First Team All-MAC, First Team All New England, First Team All-ECAC. 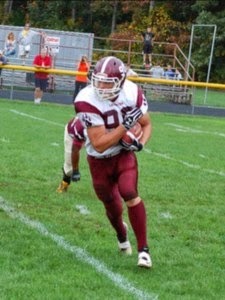 Alex Kenney GS Transfer 12 games played, 5 starts, 9 rec 190 yards and 1 TD. Jon Denton JUCO JR 12 games played. Matthew Wylie FR 2 games played 6 KO for 311 yards 0-1 field goals. Logan Laurent RSFR 5 games played, 4-6 FG, 13-18 EP. Whipple hit home runs with Frohnapfel and Sifrin. Nick Berus started all 12 games and will likely do so in 2015. The defensive secondary probably gained more experience than any other unit. Sha-Ki Holines was a force with the DL. UMass did not get a lot impact from new players in the kicking game or running backs. Both areas will probably be a focus in recruiting. College football continues to gain in popularity. The big shift in the sport is TV revenue. The NIU-Marshall bowl game only drew about 25,000 spectators, but 1.1 million watched on TV. College football accounted for $7.3 billion in revenue recently. "I love the sport of basketball," Tranghese said. "But the collegiate athletic world as we know it is absolutely controlled by the sport of football." 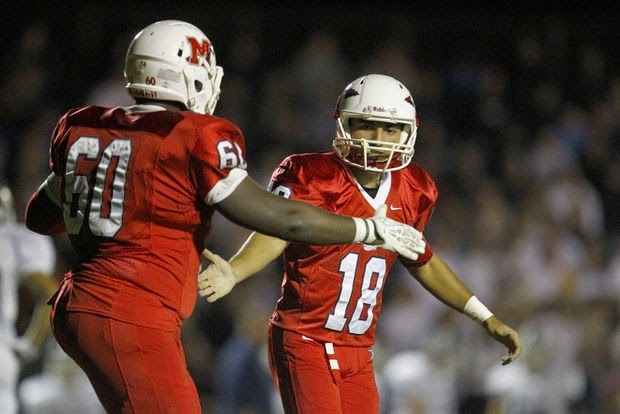 Dan Malone has post on Tom Rodrick, a 6-3 230 pound LB/DE from Leceister joining the Minutemen. I initially blogged about Rodrick last Tuesday. One link I did not post was the editor at ESPN Boston called Rodrick the best LB recruit in Massachusetts. Dan also reports Teddy Adkins a 6-2 200 pound LB from Apopko, Florida has decommitted. His conversation with Dan implies UMass might be bringing in a JUCO or transfer linebacker for 2015. SB Nation has a long post on the inaugural Bahamas Bowl. One complication I never thought of is teams don't learn until late if they would be chosen for a bowl and most players don't have a passport. Former EMU coach Rod English, whose locker room meltdown got him fired, has yet to find another job. Speaking of Eastern Michigan, they had a tough year. How Alabama became the center of the college football universe. I've blogged about 2015 verbals Joe Parsons and Derek Dumais several times before. Both were chosen to the 2014 Mass Prep Stars 1st team Performance Gridiron Super Team. If you missed it Boston College lost to Penn State by one point in the Pin Stripe Bowl. The Eagles' loss shows how much the kicking game counts in football. Down three with a couple minutes left. Penn State calmly played for a field goal. Lou Groza Award finalist Sam Fricken absolutely bisected the uprights from 42 yards out to send the game into overtime. The BC kicker shanked the first extra point of the overtime and Ficken hit Penn State's reply to win. NBC Sports says Conference USA made a statement this bowl season. FCS woes: Villanova went 11-3 and made the FCS playoffs this year. The combined attendance of the Wildcats' last four home games was 14,516. Dan Malone has a story on the one-year anniversary of the firing of Charlie Molnar. There were probably two major factors when UMass released Molnar a year ago. The first is obvious----the Minutemen's 2-22 record over the first two years of FBS ball. The second was the prospect of another year without any progress. A high number of UMass players were "voting with their feet' and leaving the program. That and nothing to point to that would indicate any turnaround meant the UMass brass had to make a change. Whipple, like he did the first time, provided a breath of fresh air to the program. Because of the local recruiting situation, Whipple will have to use multiple recruiting streams (JUCO's and FBS transfers as well as HS recruits) to build the program. I think we're on the way up and UMass will be fun to watch in the coming years. the ECAC Team were: Blake Fronapfel, Jean Sifrin, Tajae Sharpe, Jovan Santos-Knox and Randall Jette. Not sure why Wisconsin is in the ECAC, but see the above paragraphs about progress. Two common UMass opponents, BC and Penn State play in the Pinstripe Bowl at 4:30 today. So far, the Pinstripe Bowl leads the bowl games in most expensive tickets. Nolan Wilson, a 6-5 246 pound DE/TE from Wrenham, chose Bryant over offers from a number of New England Schools including UMass and UConn. It's forty days until Letter-of-Intent Day. While we wait for this year's recruits to appear, there's almost 20 recruits already on the squad that we haven't seen yet---- the redshirts. I looked at the player participation lists in all 12 games. Forgive me if I missed any broken redshirts, but these are the apparent totals. Verboys has fastest feet than any QB Minutemen fans have seen in a while. Comis is one player I want to watch in 2015's Spring Game. He doesn't have the 6-5 225 size everyone wants in a QB these days, but a lot of quarterbacking is intangibles. Move the offense and win and you're a QB. Singh and Addo have FBS size. Rodriguez received some favorable mention by the coaching staff. Devariste is a walk-on. Fiske spent a year at East Coast Prep before joining UMass, so he's a year older. The FBS-FCS divide is most apparent in linemen. With four OL recruits already verbaled for 2015, UMass will have 20+ offensive linemen on the roster. That's a big change from 2012, where the Minutemen struggled to field five guys. Defensive line is definitely a position where the Minutemen need more and bigger bodies. Besides the four listed above UMass has two DL recruits so far in the 2015 verbals. Who will see action as a RSFR in 2015? I think Addo and Rodriguez will make the rotation in the defensive backfield. Comis and Verboys should be in contention for the #2 QB. Carter and Largay should get some reps in the defensive line. Everyone else, we'll have to watch in the Spring Game. If you somehow missed the wild ending of the CMU-Western Kentucky Bahamas Bowl, here it is. Central Michigan down 49-14 in the fourth quarter, came all the way back to nearly win the game. Only a couple of hundred fans went to the Bahamas Bowl, but as USA Today explains, bowl attendance doesn't really matter any more. 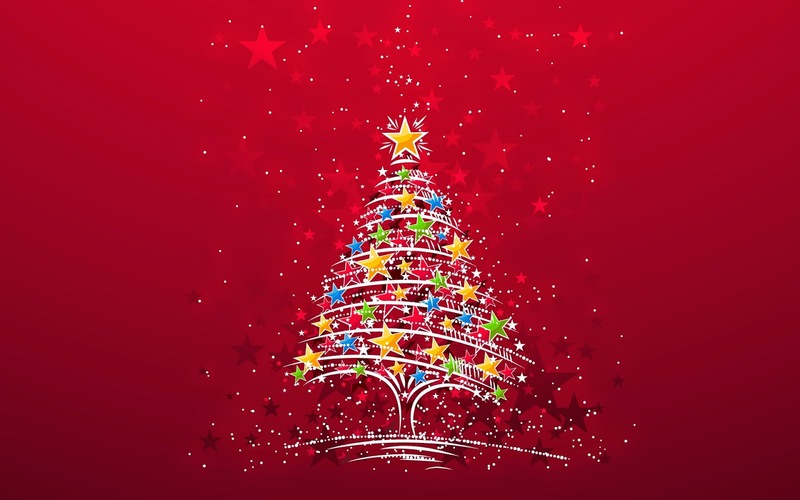 Mrs Blog and I would like to wish all UMass fans, players and coaches "Happy Holidays and Merry Christmas!" Hope the coming year brings health and happiness to all. I'm still having fun with the Blog after 5,334 posts and I intend to keep it going for another year. A couple JUCO or BCS transfers for the front seven on defense. Six wins or better in 2015! Joe Parsons, a 6-5 285 pound OL from Xaverian Brothers HS verbaled to UMass back in June. I've blogged about Parsons before. On 12/24/14 named to the Herald All-Scholastic Team. Committed to UMass, the 6-foot-5 senior was a bull on the Hawks offensive line, earning Catholic Conference All-Star honors after allowing just one sack all season long. Parsons helped pave the way for Xaverian’s devastating run game during an undefeated journey to the Div. 1 Super Bowl title. In the win over Everett, Parsons keyed a ground attack which amassed more than 250 yards. Marshall and Rakeem Cato ran over NIU 52-23 in the Boca Raton Bowl. Thundering Herd write-up of the game. Hustle Belt reviews the game. Central Michigan plays Western Kentucky in the Bahamas Bowl at Noon today. Central Michigan should have its hands full with the high scoring Hilltoppers offense. Western Kentucky scored 67 points on Marshall and 59 against Bowling Green. Boston College and Georgia Tech will play in Ireland in 2016. Matty V. reports Tom Rodrick, a 6-3 229 pound LB/DE/FB who originally signed with UConn will enroll at UMass. 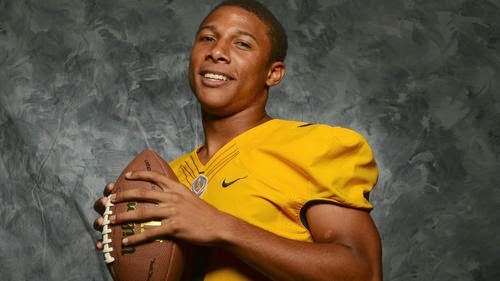 Listed as a two-star recruit by 247Sports. This article from 2013 features Rodrick. Heavily recruited by UMass in 2013. Rodrick's joining the Minutemen would mean UMass would sign 3 of the top-12 players from Massachusetts in 2013. This article mentions Troy's 2016 game with UMass. Speaking of Troy, Neal Brown's bio is up. Yahoo Sports previews today's Boca Raton Bowl between NIU and Marshall. The Boca Raton Bowl is the highest ranked bowl with a MAC invite. Las Vegas says Marshall by 10. ESPN says bowl games mean a lot to Group of Five teams. If you DVD'd the Camellia Bowl with Bowling Green and Southern Alabama and didn't watch it it, you should. It was an entertaining game. Bowling Green had a player ejected, a referee had to leave the game after being hit with an object thrown from the stands, and the Southern Alabama HC was knocked over and kicked in the face by one of his own players. After trailing all game, the Jaguars scored with 1:15 left in the fourth quarter. Their lead lasted 15 seconds as BG hit an unmolested slot receiver on a post pattern on their first play after receiving the ball to win the game. MACtion! The Daily Beast says Jim Harbough is worth $42 million to Michigan. James Ihedigbo says the Lions have the best safety tandem in the NFL. Giants.com compares Odell Beckham's and Victor Cruz's breakout year. Victor helps collect toys for an annual Christmas drive in New Jersey. 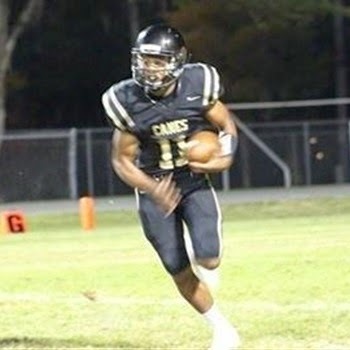 Several recruiting services show UMass has offered to Desmond Franklin, a 6-2 190 pound Athlete out of Inverness, FL. Franklin also has an offer from Temple. The MAC went 1-1 in its first two bowl games Saturday. Air Force ran over Western Michigan 38-24. MLive grades WMU's performance in the Famous Potato Bowl. Bowling Green threw a 75 yard TD with a minute left to stun South Alabama. NBC Sports says it was MACtion vs Funbelt. The Falcons' win already matches the MAC's 2013 bowl win total. Hustle Belt previews tomorrow's NIU vs Marshall game in Boca Raton Bowl. Eric Frohnapfel has gone 35-404 5 TD's 38 LONG for the Herd this season. UNH came up short against Illinois State Saturday. The Red Birds scored 15 points in fourth quarter to end New Hampshire's season. The Wildcats have yet to make the FCS National Championship game. UNH's WR R.J. Harris broke all of David Ball's (remember him?) records. Harris was the best player on the field, but the Wildcats didn't get him the ball enough. ESPN says Duke is copying Stanford's recruiting success. 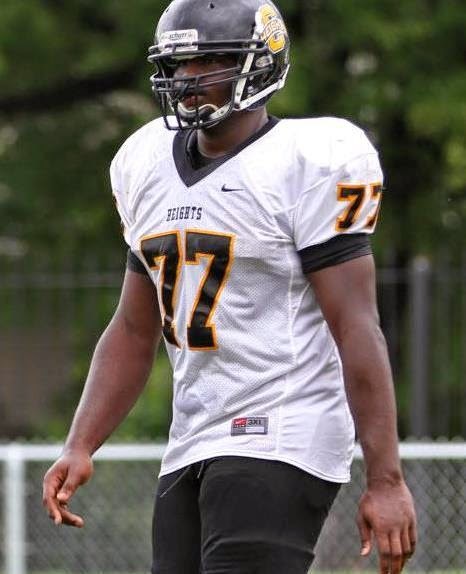 Diasjon Robinson, a 6-2 280 pound DT from St. Peter's Prep was the first verbal of the 2015 class. He committed to UMass back in May. I've blogged about Robinson several times before. This article from November 29th features Robinson. Robinson gets a number of quotes from this article on the Group 2 Championship game. 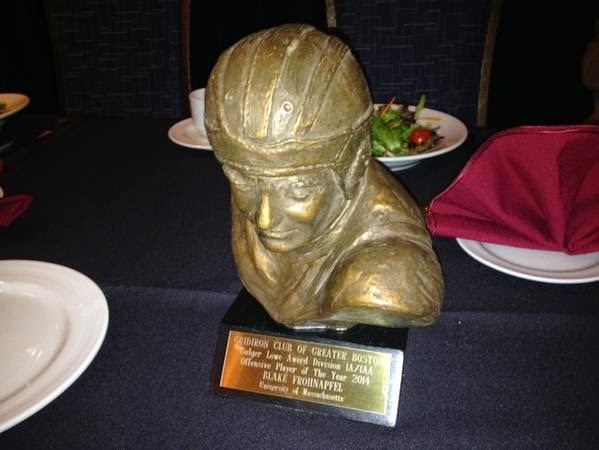 UMass Athletics has two videos from Blake Frohnapfel receiving the Bulger Lowe Award by the Griiron Club of Boston. Dan Malone also has a post on Frohnapfel's appearance at the Gridiron Club. In addition, Jean Sifrin has been named by Sports Illustrated as an Honorable Mention All-American at TE. SI's full All-America team here. Dan Malone also reports UMass landed six players on Phil-Steele's All-MAC team. The MAC Conference kicks off the bowl season today with Western Michigan and Bowling Green in action. Cleveland.com reports. SB Nation previews all the MAC bowl games. Eleven Warriors looks at today's bowl games including New Hampshire's semi-final game against Illinois State. Vegas Insider has Western Michigan as a slight favorite over Air Force and Bowling Green a 2.5 underdog to Southern Alabama. I've blogged about Qaadir Sheppard, a 6-3 222 pound DE/WR from Iona Prep three times before. He verbaled to Syracuse yesterday. Neal Brown, a former UMass player and graduate assistant under Coach Whipple has been named HC at Troy. SB Nation has five reasons Brown will bring winning football to Troy. UConn's future schedule includes UMass in 2016 and 2017. Temple plays at UMass on 09/19/2015. Campus Insiders previews the Famous Potato Bowl featuring Western Michigan vs Air Force. Western Michigan went from 1-11 in 2013 to 8-4 and a bowl game this year under P.J. Fleck. They also preview the Carmella Bowl with Bowling Green against South Alabama. 12 Coaching candidates for the Pitt HC job include three MAC coaches and former UMass assistant Bob Shoop. OT, but Jaron Johnson, a player for the NBA development team Rio Grande Vipers is friends with another player named Raphael Putney. Both are trying to break into Pro Basketball. They're friends because---- " Putney, a 6-foot-9 rookie center, also hails from an obscure college (UMass-Amhurst) and was also a tryout invitee." 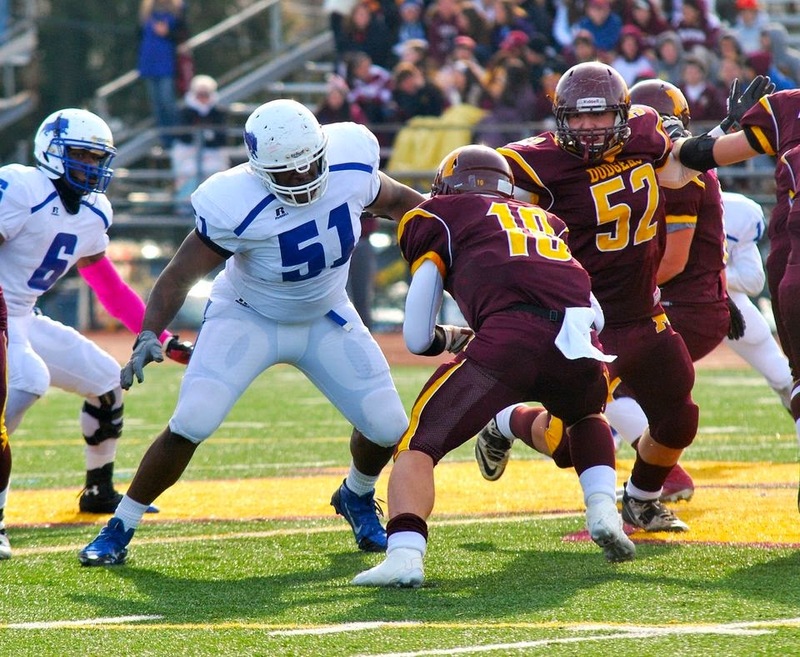 Yesterday I blogged about Mario Patton a 6-3 290 pound DT verbaling to UMass. Dan Malone, report two kicking specialists have received Minutemen offers. The first is Michael Caggiano, a 5-10 160 pound kicker from Manalapan, NJ. This article from September 2014 features Caggiano. NJ.com reports Rutgers offered Caggiano preferred walk-on status. Caggiano's Kohl's kicking camp page. 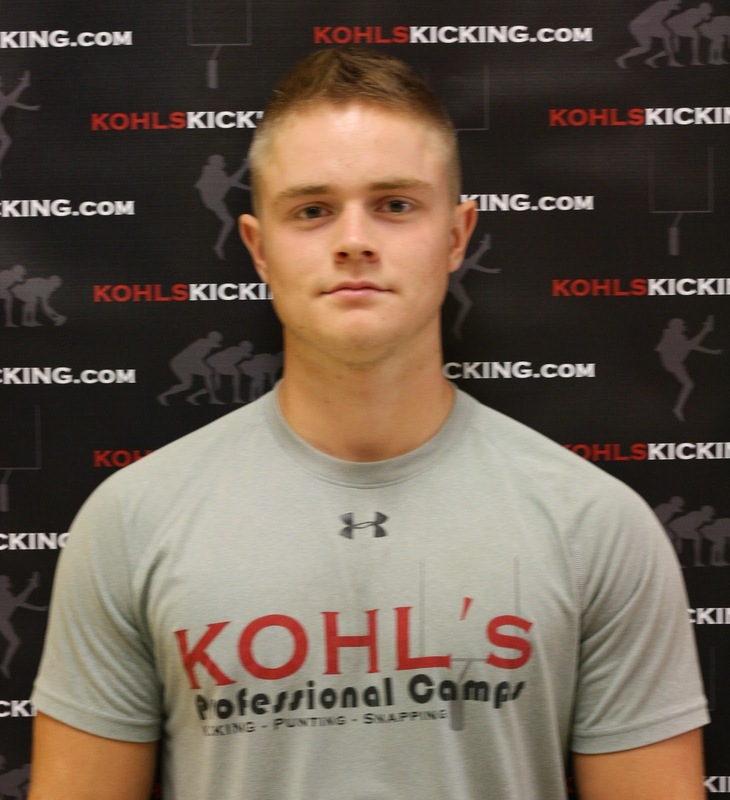 Also offered was Bennett Moehring, a 5-9 170 pound kicker/punter from Bentonville, AK. Was ranked #1 kicker in 2015 class by Chris Sailer kicking. Besides UMass, Moehring has an offer from Tulane. Dan Malone credits Bob McGovern in reporting Mario Patton, a 6-3 290 pound defensive lineman from Cleveland heights has verbaled to UMass. This video co-features Patton before the 2014 season. Patton also held offers from Minnesota and Bowling Green. Dan Malone has another installment of his 2014 position review, this time covering special teams. As Dan says the Minutemen kicking game was ugly, worse in some respects than 2013, which is saying something. Kickoff average dropped this year as Brandon Levengood averaged 60.4 yards a kickoff in 2013. UMass was last the MAC in PAT average, second to last in punting average and field goals. On fly in the ointment about bringing in recruits is Coach Molnar publicly complained how much scholarship money UMass had invested in special teams. The Minutemen need help in a number of areas and two scholarships could be well invested in a couple of transfer defensive linemen. That said, I think it's almost certain Whipple will bring in another kicker. Basically nobody on the current roster looked impressive. Dan has an article on UMass' attendance figures in the MAC. Campus Insiders previews the NIU-Marshall game. OT, but Philly.com wonders if the Power Five will ruin the NCAA hoops tourney. Dan Malone continues his 2014 season review this time covering running backs. The Minutemen rushing game was one aspect of the offense that didn't get jump-started under Whipple in 2014. This year UMass averaged 3.4 yards/carry with 1312 total yards rushing. In 2013, we averaged 3.4 yards/carry with 1502 total rushing yards. One aspect of the running game that did improve was the Wildcat. Under Molnar, it usually went for -3 yards a carry. This year Michel had a 50-yard run and usually gained positive yards. The loss of Jamal Wilson, who averaged 4.0 yards a carry against the BCS portion of UMass' schedule hurt the cause. The longest run from scrimmage (not counting Marken Michel out of the Wildcat) was 38 yards. When Whipple looked at the roster and recruits this Spring, he brought in Drew Harris. I think that was somewhat of a statement. When we played Penn State, the Nittany Lions defensive ends ran down our running backs from behind. In our last game, Buffalo had much the faster RB. I would think that a JUCO or transfer RB would behind only a kicker in recruiting priority this Spring. The Virginia Pilot looks at various scenarios for Conference USA to deal with the loss of UAB. They could raid the Sun Belt or could add UMass, Army, JMU or Liberty. The Boston College blog "BC Interruption" looks at football recruiting in New England. Mike Karpinski of Hustle Belt looks at the MAC December recruiting rankings. Toledo looks forward to 2015. On Saturday, Dan Malone continued his 2014 review series this time covering receivers. If anything in UMass football showed the impact of Whipple/Frohnapfel it was the wide receiver corps. The Minutemen had 16 players in 2014 catch the football and two more Jon Denton and Elgin Long make contributions. In 2013 the longest reception by a WR was 38 yards. In 2014, the Minutemen had SIX receivers with catches of 50 yards or more. Suddenly, UMass had lots of good lookin' receivers. Sharpe flat out looked like a NFL receiver catching sideline outs from Fronapfel. Sifrin appeared raw in aspects, but he physically was a mis-match for most teams. Watching Frohnapfel throw and the the wide receivers catch was the most fun UMass fans have had in a long time. Thank you video from the Minutemen Club. David Tolintino, a 6-2, 275 pound DT from St. Peters Prep in NJ verbaled to Navy. Tolintino had a UMass offer. Northern Illinois to the Big Ten? OT, but Lou Roe's son is playing hoops for Hopkins Academy. Dan Malone continues his 2014 review with a consideration of the Minutemen defensive backfield. To me the defensive backfield struggles that Malone mentions were partially due to the Minutemen front seven. 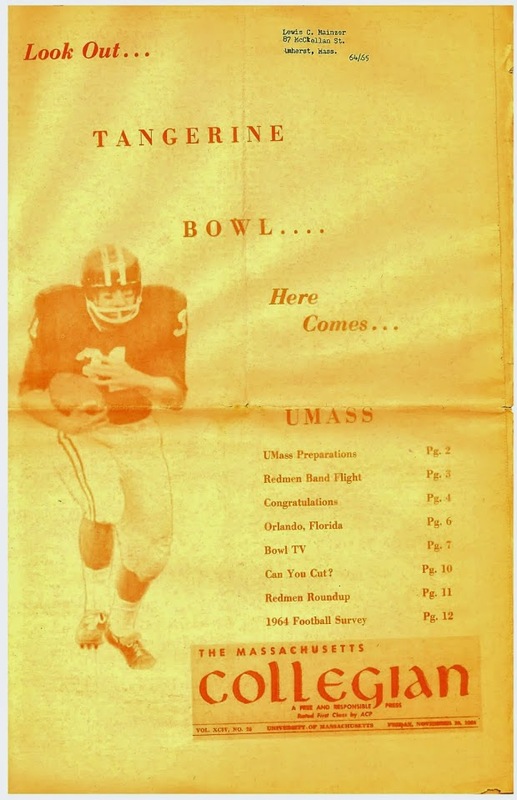 The UMass fans I sat with during the year would comment on how far off the Minutemen DB were playing opposing receivers. It looked as if there was a consensus coaching decision to adopt a bend-but-don't-break defensive posture. The UMass DB's looked to me trying to keep the play in front of them. Maybe next year with more defensive pressure on the opposing QB, UMass DB's will close up and be more physical on opposing receivers. UMass was 11th in sacks in the MAC. Minutemen pass defense efficiency was not too bad-- 9th in the league. Also the DB's were making a lot of tackles. Freshman Zeke Edmonds played a lot. I have high hopes for big hitting Jerell Addo and Charan Singh. This is another area UMass could use a JUCO or FBS transfer. Ron Chimelis reports Chancellor Subbaswamy is in charge. UNH came out flat in the first half of last night's FCS game, but rallied in the second half. Navy says how many games does they have to win before it's renamed the Navy-Army Game? 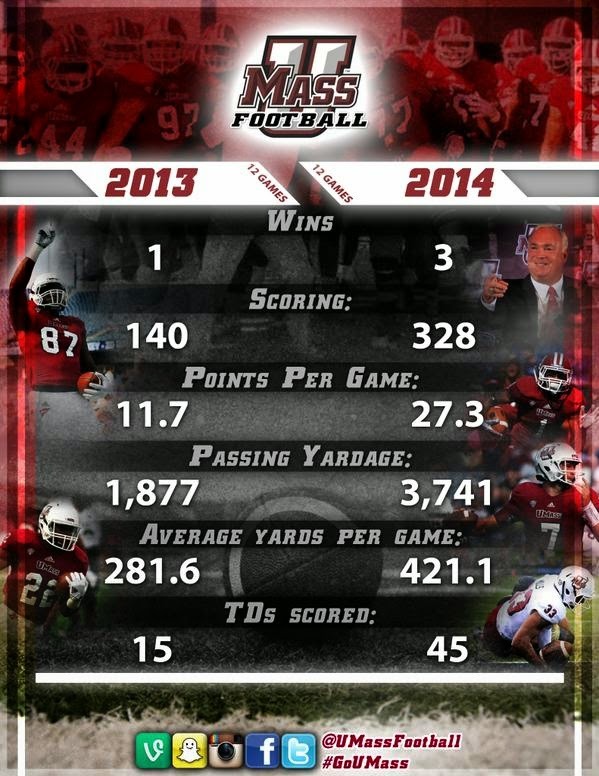 Dan Malone looks at the performance of the UMass quarterbacks in 2014. Blake Frohnapfel GS GP-GS 10-10 132.2 EFF 241-437-10 55 % 3345 23 TD's 80 LONG 334.5 yards /game MAC First Team All-Conference. Austin Whipple RSFR GP-GS 6-2 117.1 EFF 25-48-3 52.1 % 325 3 TD's 72 LONG 34.2 yards/game. Well Blake Frohnapfel was the best thing UMass fans have seen in a long time. Besides his amazin' numbers (334.5 yards a game is a UMass record by a large margin), Frohnapfel has the intangibles that make an effective QB. I was at the Colgate game 2005 out in Andy Kerr Stadium when Tim Day threw four INT's in the first half. Liam Coen came in the second half and went 20-35-193 and two TD's to spark a furious UMass comeback. Coen started every game for the rest of his career after that. Frohnapfel has those kind of intangibles He looked good and suddenly UMass has a bunch of good receivers. Sixteen Minuteman players caught passes in 2014. Frohnapfel will be the starting Minutemen QB as long as his career lasts (hopefully 13 games in 2015). Verboys has by far the best foot speed of the rest of the QB's. He could get some reps out of the wildcat next year. Comis has had a lot of favorable press; it'll be interesting to see him in the Spring game. Since Frohnapfel will certainly be the starting QB in 2015, A.J. Doyle may not want to sit out another year. Whipple's second game was OK, but it looked like everyone lost a gear---- it looked like 2013. However, Whipple did improve a lot in his second game. The annual Max Page dog-and-pony show went off yesterday. Please all UMass fans, if you get a chance to meet him , shake Chancellor Subbasawamy's hand for defending UMass football. The facility senate then voted to dissolve the ad-hoc committee on football. Matty V. says Chancellor Subbasawamy tells Max Page to to put a sock in it. Over at Hustle Belt, Jesse Allen and Max Moore review the 2014 Minutemen season. The Sun-Sentinel reports that James Oliphant, a 5-9 170 DB/Athlete St. Thomas Aquinas HS in FL will take a recruiting visit to UMass. Also receiving interest from BC. Dan Malone and Andrew Cyr of the UMass Daily Collegian have a podcast recapping the 2014 UMass football season and look ahead to 2015. Dan continues his position review of the 2014 team, this time with linebackers. In 2014 UMass finished 9th in rushing defense, 11th in total defense and 11th in sacks. The Minutemen were more competitive in more games this year, but lacked big plays by the defense. The Minutemen linebackers made a lot of tackles, however many were eight yards down the field. Jovan Santos-Knox is a leader and he doesn't like to loose. The linebacker corps just didn't make many impact plays. Opponents lost only five fumbles in 2014. However, we lose only Andre to graduation. The return of Shane Huber should help. The rest of the linebacking squad should be bigger and stronger. CMU will receive $450,000 to play in the Bahamas Bowl. Dan Malone reviews the 2014 Minuteman offensive line. Without game tape its useless to try to grade offensive linemen. The OL's stats show up on other players. Blake Frohnapfel's mammoth season was partially a product of the OL's play. UMass was 11th in sacks against, but UMass was 3rd in pass attempts so some of that was because the offense was so pass heavy. UMass did less well in rushing. The Minutemen were 11th in the MAC in rushing offense (109.3 yards per game). UMass averaged 3.4 yards per rush. In a couple of game (Penn State and Kent State), the opposition pretty much controlled the line of scrimmage. With 20 offensive linemen on the squad in 2015, there should be plenty of competition for the first and second team. The position should be a strong one for UMass in the future. Ron Chimelis says uncertainty in the AD position provides UMass football with another challenge. This is very cool. Tightrope Media Systems will provide a UMass Football Historical kiosk in the new UMass Performance Center. It will have 130 years of searchable historical data on the team. A Penn Live writer wonders what would have happened if Joe Paterno's proposed Northeast Conference had come to fruition (with UMass included). Former UMass QB Vito Campanile (1993, 1995) has been named NY Jets HS Coach of the Year. Sports Edge.com says UConn should leave the ACC and rejoin the Big East. Blake Frohnapfel and Tajae Sharpe were named to the All-New England Team. Dan Malone has an article on Frohnapfel's and Sharpe's selection to the All-New England Team. Dan starts a 2014 position review with the Minutemen defensive line and thinks big things are in store in the future. Let's parse the DL this way. Daniel Maynes 12-11 GP-GS 13 UT 31 AT 44 TT 7.5 TFL 1.5 SACKS (most tackles by a DL). UMass will gain FBS size down the road as Smiley, Carter, Largay and Wynne are all 6-5 or taller. The defense has not had the recruits the offense has had so far during our three years in FBS. I would think Whipple will bring in several JUCO or FBS transfers in this recruiting cycle. Our defensive stats are impacted by four BCS games, but UMass was 11th in total defense, 9th in run defense and (probably the most important) 11th in scoring defense in the MAC. Moving defense into the middle of the MAC in scoring defense would probably add two or three wins to our 2015 totals. UMass is one of a long list of teams interested in UAB safety Bobby Baker. Because UAB dropped football, Baker would not have to sit out a year. The rest of the Blazers roster is here if you want to speculate on defensive linemen or whatever. Anthero Nicolau who coached in four Super Bowls (and one year-1970) at UMass, passed away. If you missed it, UConn lost to 0-11 SMU Saturday. 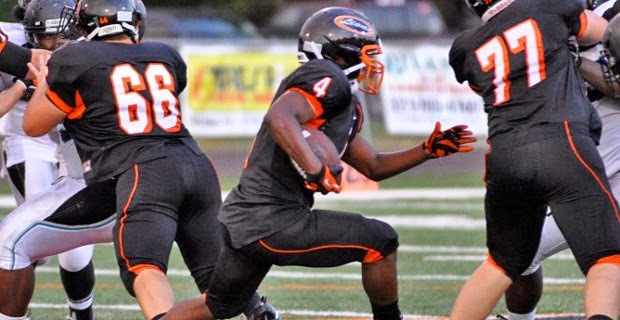 Several recruiting services report UMass has offered to Jurell "Ratt" Green, a 5-9 176 pound RB from Oviedo, FL. He's rated a three-star RB by most services. This article from September features Green. Besides UMass, Green holds an offer from Bowling Green in the MAC and eight other FBS schools. Dan Malone says UAB folding football gives UMass another conference option. He also has John McCuteheon confirms interest in USC Santa Barbara opening. Matty V. says McCutcheon could be on his way out. Hustle Belt has the complete playoff and bowl schedule. There are some interesting MAC matchups. NIU meets Marshall in the Boca Raton Bowl. Look for Central Michigan to get smoked by Western Kentucky's high-powered offense in the Bahamas Bowl (the Hilltoppers scored more that 59 points or more four times in 2014). The Detroit Free Press looks at the MAC Bowl games. Sports Illustrated looks at the four playoff teams. 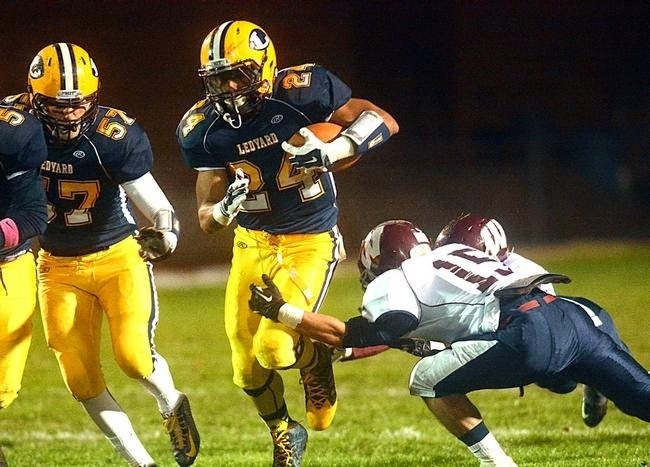 The Day reports UMass is interested in JoJo Shumaker, a 5-9 182 pound RB from Ledyard, CT. The Norwich Bulletin says Shumaker is rewriting the record book. Besides UMass, Schumaker is drawing interest from Villanova and several other FCS schools. Dan Malone reports UMass AD John McCutcheon is a finalist for the AD job at UC Santa Barbara. If McCutcheon leaves UMass would need to bring in someone able to cope with getting into a conference for UMass football. This article features Kolton Huber, the younger brother of UMass LB Shane Huber. I watched NIU overwhelm Bowling Green in the MAC championship game last night. I think UMass has a better QB and better receivers. The Minutemen do not have a wrecking ball RB like the Husky's Cameron Stingily. The NIU defense is also several notches better than UMass. Whipple still has some recruiting work to do in order for the Minutemen to play in a game like that. USA Today says NIU routs Bowling Green in MAC Conference Championship. The Huskies had 334 yards rushing. Hustle Belt says Huskies maul Falcons in Championship win. NIU's convincing win puts them in contention for the "Group-of-five's" best team. Boise State needs to lose today's game against Fresno State. Columbia Football lose its head coach after concussion allegations. 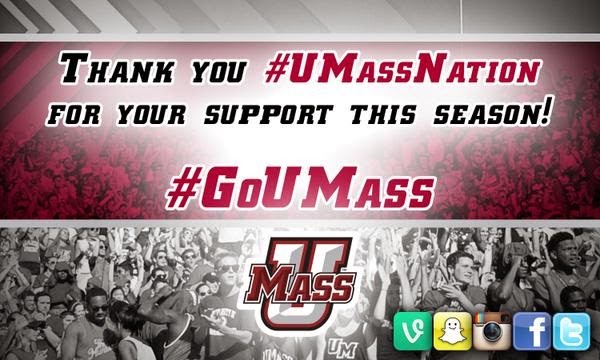 Thank you for being part of an exciting season for UMass Football. We made great progress this season and you were there to see it on the field. I want you to know that things are only going to get better. We made huge strides on offense, especially in the passing game. We nearly doubled our total passing yards from 2013, and tripled our passing touchdown total. Overall, we put up 328 points this season, compared with 140 in 2013. We achieved solid improvement on defense. We got our sack and interception totals up, and cut down on rushing yards allowed. We came home, playing three of our six home games at McGuirk Stadium on campus. We won three games: That's one more than we'd won in our first two years of FBS competition combined. I want you to know we appreciate your support. Whether you were there for our opener against BC, our return to Amherst for Homecoming or one or our four other home games, you played a part in our success. It means a lot. We're heading into recruiting season excited about our ability to improve the team for 2015. We've got our sights set on a MAC Championship and a bowl bid. I promise it’s going to be a great ride. I hope you'll be with us again. See you on National Signing Day. The BC Blog "BC Interruption" looks at UMass or Army joining CUSA from a Eagles scheduling perspective. The Worcester Telegram has an article on Northbridge and Abington Division 5 State Championship game. UMass Hall-of-Fame member Phip Vandersea (1963, 1965) played for Northbridge and UMass QB Fred Kelliher (1973, '74, '75) played for Abington. The MAC Championship game will be tonight at 7:00 PM on ESPN2. Hustle Belt reports on today's MAC Championship game's press conference. Cleveland.com says Bowling Green needs to do four things to win its second straight MAC conference title. Campus Insiders previews the MAC Championship game. The MAC Conference and Ford Field in Detroit have announced the conference championship game will continue at Ford field until 2019. Victor Cruz is off crutches. 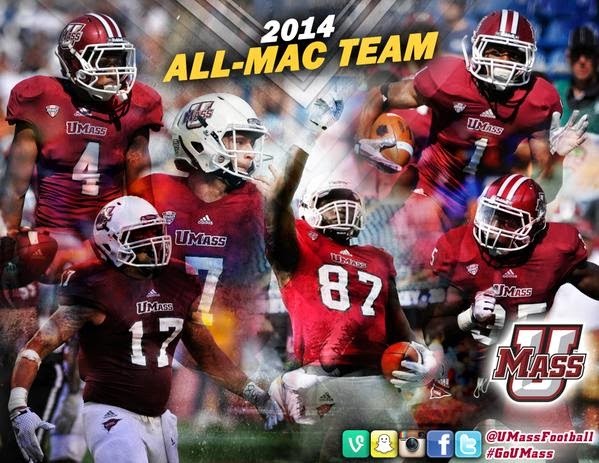 Six UMass players were named the MAC All-Conference team. Blake Fronapfel was named first team QB. Tajae Sharpe and Jean Sifrin were named first team receivers. On Defense Jovan Santos-Knox was named first team, Randall Jette 2nd, and Stanley Andre 3rd team. In 2013, UMass had one player, Anthony Dima on the third team offense. You want progress, you got progress. Dan Malone has an article on the All-Conference selections. Dan compares his ballot to the actual award winners. Alex Alvarado of Hustle Belt looks at the 2014 All-MAC awards. USA Today says Western Michigan's P.J. Fleck cashes in on players awards. The Indy Star reviews Ball State's difficult season. The Boston Herald has a nice article on Fathers and Sons in the Melrose Football team. George Karelas was a four-year letter winner for UMass (1986, 87, 88, 90). University of Texas at Austin loses 100 brains. The Daily Collegian's Andrew Cyr says its a bowl game or bust for UMass in 2015. NBC Sports says keep an eye on UMass as a candidate for the Conference USA vacancy. Busting Buckets thinks UMass could join Conference USA as a football-only member. If the Minutemen could stay in the A10 in hoops, then that would be an excellent position IMHO. I'm ambivalent about A10 hoops. The league's TV contract is weird. Here's the A10 basketball TV schedule (.pdf download). I can't see a A10 regular season game on ESPN or any of the major networks. The league's TV footprint has shrunk lately. CBS Sports returns UMass to its Bottom 25 (just barely). Note the UConn-SMU game for the Bottom 25 crown. MLive has a review of the five bowl games with MAC conference tie-ins. The Massachusetts Super Bowl HS teams will use the UMass locker room at Gillette.